Euro is still consolidating. 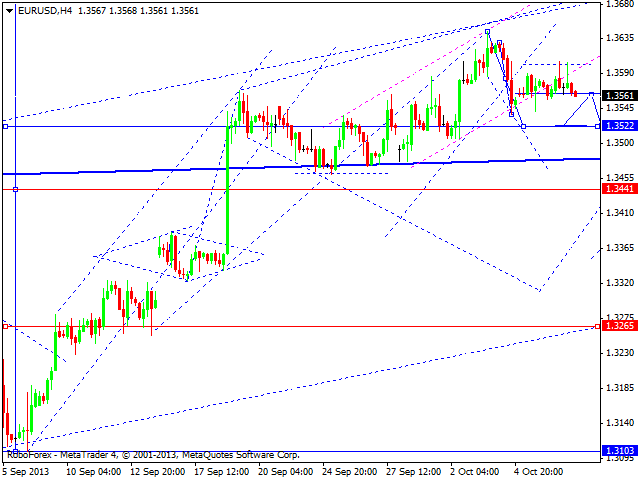 We think, today the price may continue moving downwards to reach the target at 1.3484. Later, in our opinion, the pair may form a reversal pattern for a new ascending movement. Pound also continues consolidating. 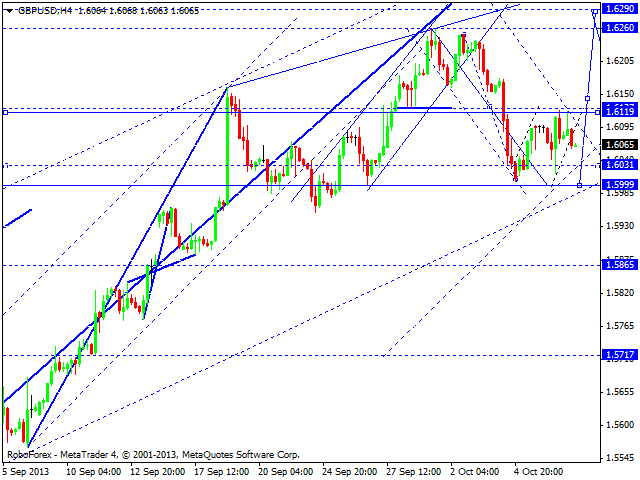 We think, today the price may fall down to reach the level of 1.600. Later, in our opinion, the pair may form a reversal pattern for a new ascending movement. Franc is also consolidating. 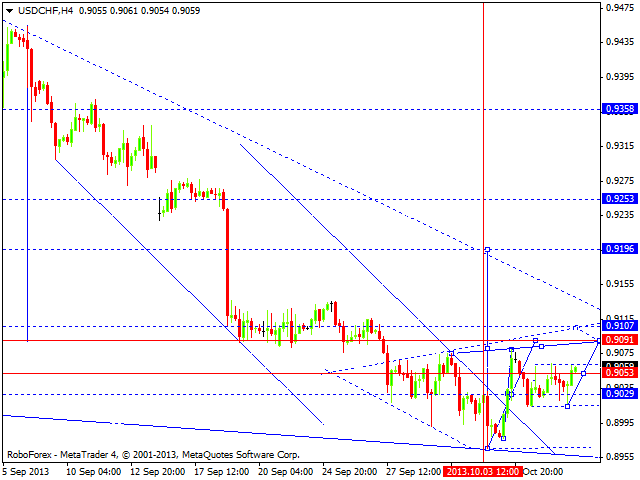 We think, today the price may leave this consolidation channel upwards and reach the target at 0.9090. Later, in our opinion, the pair may correct this ascending wave. 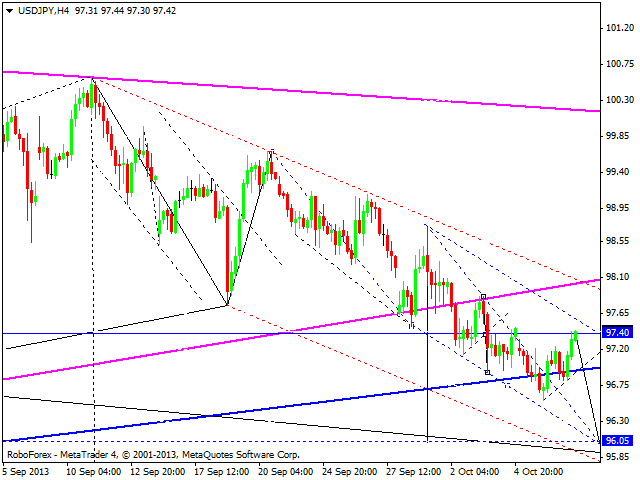 The USD/JPY currency pair reached its target and right now is expected to start a new descending wave. The next target is at 96.00. Australian Dollar reached a new top. 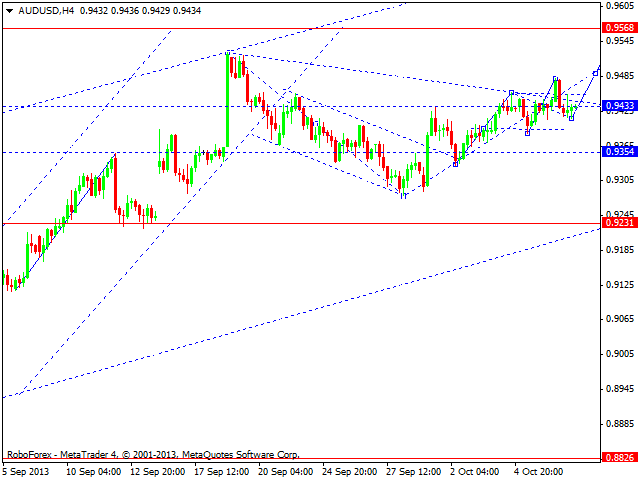 We think, today the price may break this top and continue growing up towards the level of 0.9565. Later, in our opinion, the pair may start a deeper correction. 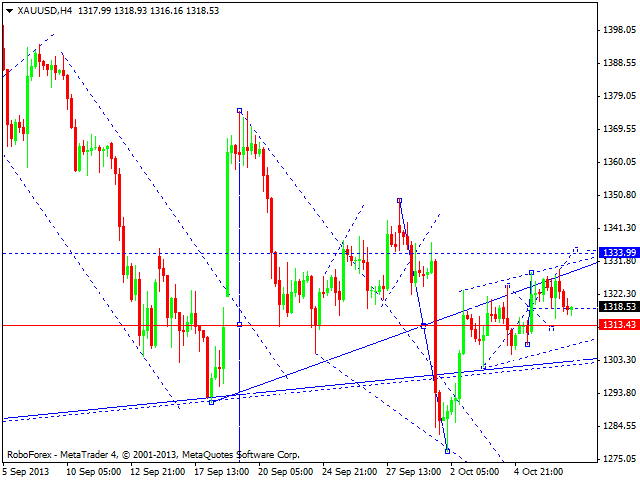 Gold continues moving downwards to test the level of 1314. After that, the instrument may grow up to reach the level of 1330. The main target is at 1334.